With the start of the new year there seems to be endless possibilities. We are all going to get fit and be clean eating, yoga doing goddesses. Our productivity is going to skyrocket, our organization will be on point, and we'll never go to bed without washing our faces again. Yes, we say to ourselves, this is what 2016 will be all about. What happens when we create expectations in our mind that don't come to fruition exactly as we hoped? When our preconceived notions of how an event will play out isn't what happens? We are often faced with disappointment and shame, feeling as though we should have been better, smarter, more prepared, etc. 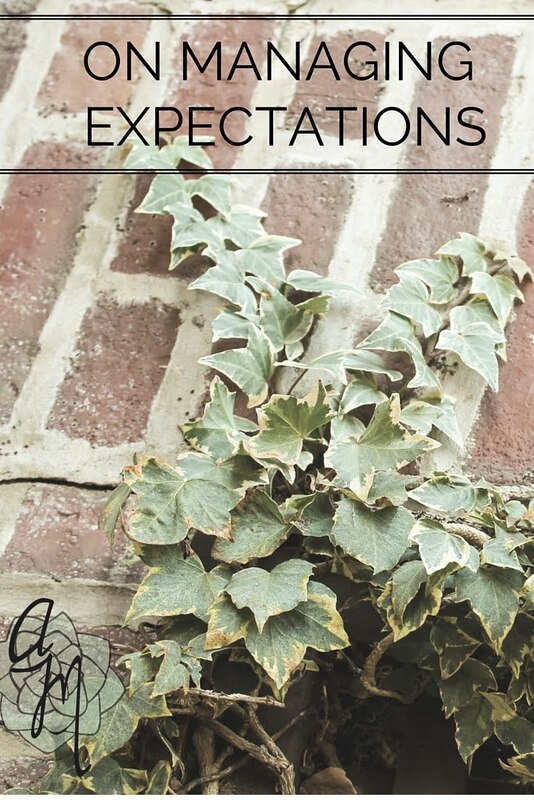 Our expectations can have amazing power over our feelings and cause us to be elated when something surpasses our anticipations or saddened when it's not as good as we thought it would be. Expectations, however, do not have to be hindrances to our happiness. In fact, we can harness our expectations and strategically make them work to our advantage. Here are some ways to reframe your thoughts and actions to make expectations work for you. Read the rest of my guest post on the Wonderforest blog here.